Little fans will love to hear Emma interact with them when they squeeze her tummy and hear her recite 5 familiar phrases: 1) Hello, my name is Emma 2) Let?s Wiggle! 3) I open up my music box and what do I see? 4) You?re a very wiggly friend 5) Have a bowtiful day! 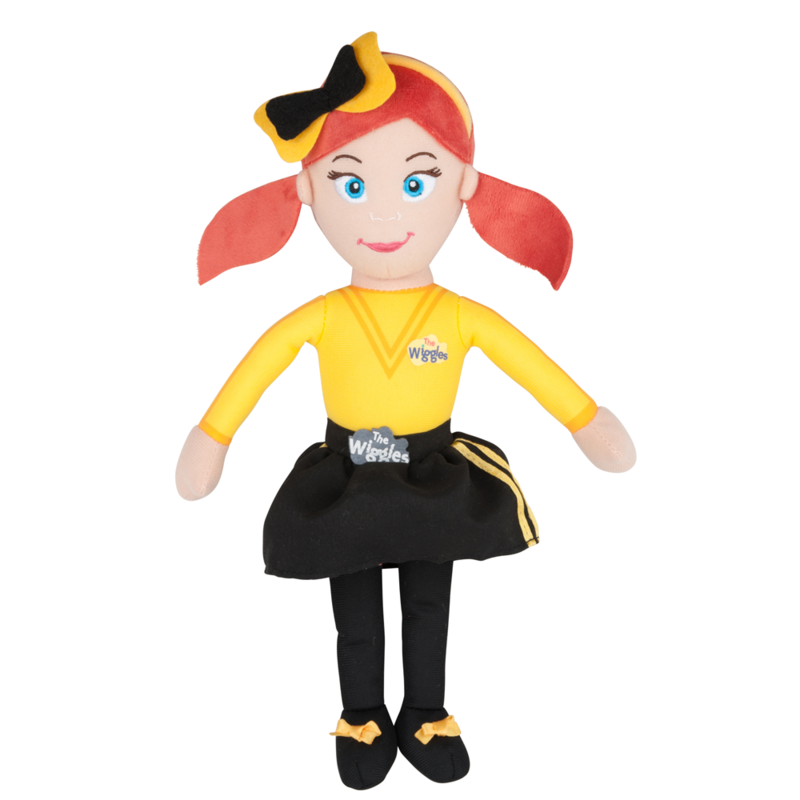 Emma wears her signature classic costume, complete with yellow skivvy, black skirt and ballet shoes. Wiggly fans will love to dance and play the day away with their bowtiful new friend! Presented in an open platform box measuring 14cm W x 31cm H x 7.5cm D.